- The crazy Human.bin for fun, exotic and risky games. At this moment, DeepSaros-2 is released only for Linux S.O. Deep Saros ver. 2.0 support multi-thread for multi core and multi CPU computer (up to 8 CPU) and it's released for 32 bit and 64 bit. 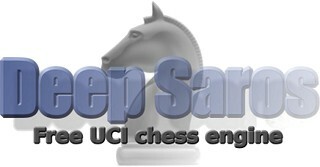 The 64 bit version increased up 30% the chess-force of program. In the nex weeks I release the Windows versions. This "polyglot book" was prepared by Flavio Martin, an Italian chess player and has been very strong. Is an excellent tool for analysis, preparation and training, and a viable alternative to other openings books. It's certainly being testing! Download the "New Human.bin" opening book (polyglot). Download the "New Human" opening book for GUI Arena.